An effective lateral thinker with a passion for dealing with compliance and corporate governance issues especially in both organizational and public domains. Diversely qualified, in both technical and management fields and has held a senior position for the last 12 years shaping the policies and principles for environmental, health, safety, and quality for the largest diversified Oil and Gas Company in Dubai. He is a very passionate, academic industrialist with a great interest in bridging the gap between vocational, academic and experiential knowledge. Waddah is an Environmental Engineer, graduated from University of Wales, College Cardiff. He worked as a consultant at the start of his career and then moved in to the Oil Industry in to refining. Whilst working he studied intensively and obtained two Diplomas in Environmental Management and Safety Management from the UK respectively. He holds an MSc in Environmental Science the UAE University. 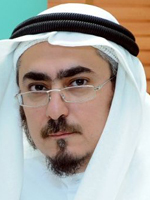 His major achievements include projects such as the EPCL Refinery development and commissioning team; Project Director for the Dubai Civil Aviation, Dubai International Airport Environmental Public Report 2004-05; Developed a Compliance Department from first principles from a 4-person team to a 26-person team with 6 major divisions; has written and presented at more than 100 local, national and international conferences; has been involved in various different executive and advisory committees within and outside the organization; Has obtained various high level academic qualifications and still working on the same. Waddah has a varied experience base and working knowledge of environmental management systems and pollution control; fire and safety compliance and design reviews; occupational health management systems development and administration; EHS Management Systems Auditing; Job Safety Task Analysis; TQM; Energy and Resource Management, ERP, CMP, BCP and other HSE specificities. He has also been involved in many different business processes and their development such as business excellence, emergency and crisis management, business continuity planning and so on. Waddah has co-authored to date three books to date “Safety Management – A comprehensive Approach to developing a Sustainable System” (published January 2012 - USA), “Reflective Learning for HSE Practitioners” (published July 2014 - UK) and “7 Fundamentals of Operationally Excellent Organisations” (Published in Jan 2015 – USA). He is currently in the process of completing another three books between now and the end of 2015. Waddah heads as the Chief EHSQ Compliance Officer for the ENOC Group and recently promoted to Executive Director for EHSQ and Corporate Affairs. He chairs and is a member of various EHSQ and other organizational Committees. Waddah has been an executive committee member of the Emirates Safety Group, an advisor on the Higher Colleges of Technology (HCT) Environmental Sciences Program Committee and served also as a member of the Petroleum and Lube specification Committee for the Government of the UAE. He is also the current Chairman of the ENOC Wellness and Social Activities Program Committee in ENOC. He works closely with the Dubai Supreme Council of Energy as a member of various committees. He was appointed Vice-Chairman of the Board of Directors for the Dubai Centre of Carbon Excellence PJSC in 2010-2015. Waddah is a Fellow of the Energy Institute, an Associate Fellow of the Institution of Chemical Engineers in the UK and a Member of the American Society of Safety Engineers (ASSE). He is currently the chairman of the education committee of the Energy Institute Middle East.